Throaty rumble with refined efficiency. Laid-back riding style with plush comfort. Rich paintwork and glittering chrome over precision engineering. Every inch crafted to deliver an irresistible combination of genuine, traditional cruiser experience and refined modern technology. That's SUZUKI BOULEVARD C50. 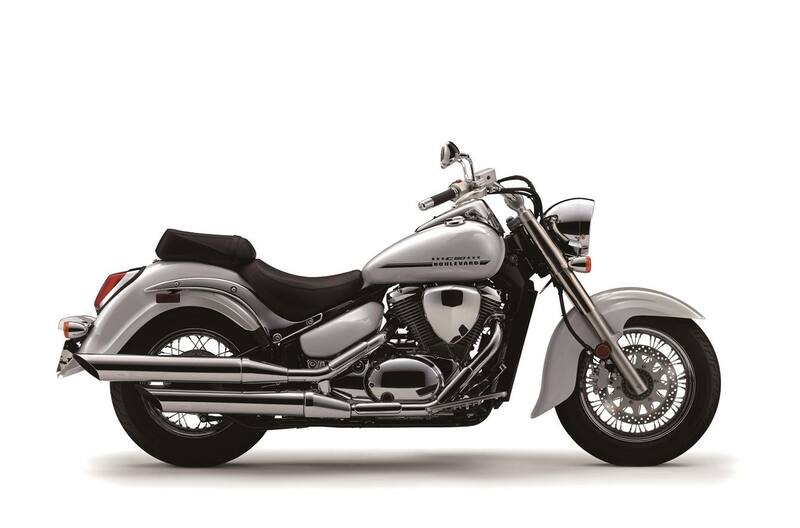 One word comes to mind to describe the Suzuki Boulevard C50 - classic. The C50 is a cruiser that offers classic styling, unmatched comfort, and excellent performance. With kicked out front ends, wide handlebars, smooth suspension, and well-cushioned seating; Suzuki's design team has the rider's comfort in mind. The C50 boasts a fuel-injected, 45-degree, V-twin engine that cranks out 805cc that generates abundant torque down low and matched by exciting top-end performance.